Are you cleaning out your basement and need a place to throw away your junk? Are you starting a roofing project and need a place to put all the old shingles? Is your dewatering press making so many solids you do not know what to do with it? 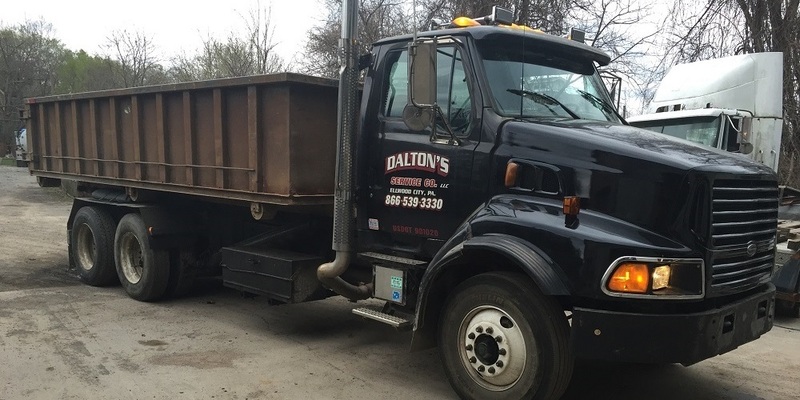 Whatever your needs you can count on Dalton Service Company LLC, "The #1 Company in Roll Off Rentals," to provide you with a roll-off dumpster to meet your needs. Our fleet of well maintained roll-off trucks run daily delivering our 10-yard, 20-yard, and 30-yard dumpsters for rental.